The lounges at ICN in the Concourse are all relatively close together, so it was easy to stop in multiple lounges. My next stop after the Asiana lounge was the Korean Air lounge, which is also part of the Priority Pass network. When I checked in, the desk agent couldn’t figure out why I would want to use his lounge when I could use the Asiana lounge, but he let me in anyway. My first impression was that the Korean Air lounge is much lighter and airier. While the Asiana business class lounge has no windows to the outside, the Korean Air lounge has large windows with views of the tarmac. The food and drink options, however, were much more sparse than the Asiana lounge, although this could be partly due to the time of day that I visited. My final stop was the Singapore SilverKris lounge, which was the lounge the check-in agent wanted me to use when I checked in for my flight. The lounge had a couple of different food offerings than the Asiana lounge, but I thought the Asiana lounge offerings were superior. 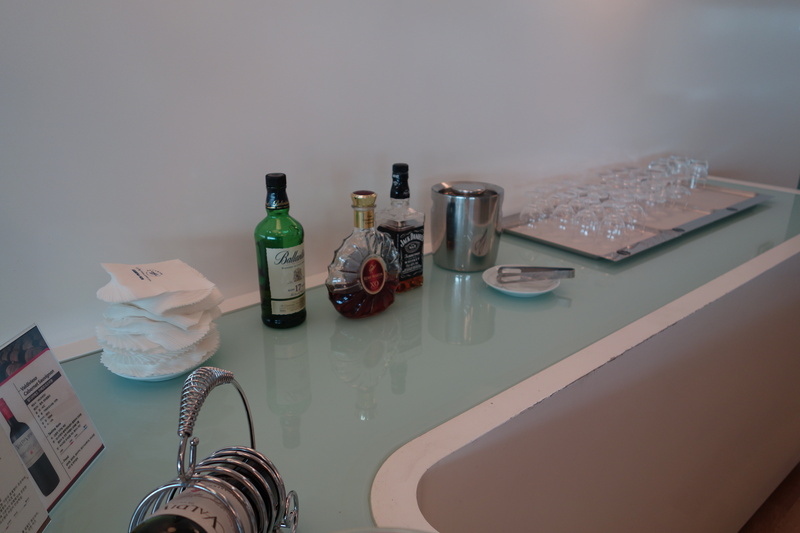 The lounge also had its own shower room (as did the Korean Air lounge), but I didn’t partake. Overall, if you don’t mind the lack of windows in the Asiana business class lounge, that would be my first choice of lounge in the Concourse at Seoul. The food offerings were superior, there were more shower rooms and quiet rooms, and there was just more space. But if the Asiana lounge is crowded, it wouldn’t hurt to check out one of the other lounges, since they’re all so close to one another. This entry was posted in Korean, Lounge Reviews, Singapore, Travel, Trip Reports and tagged airport lounge, korean, singapore, travel, trip report on June 1, 2013 by Edward.